The Hoover Dam was built to control the powerful Colorado River, which for many years flooded farms and cities. The U.S. stores emergency water for Mexico at Lake Mead, the reservoir behind Hoover Dam near Las Vegas. “‘Ladies and gentlemen, here is where man conquered the mighty river placing a concrete yoke about its neck to harness its tremendous power and water resources,’” a 1955 educational video explained. In 1922 the Colorado River Compact divvied up the water to the upper and lower basin states. This allowed for cities like Las Vegas and San Diego to mushroom rapidly, and for farmers to grow acre upon acre of alfalfa and other crops. About 20 years later, Arizona and Mexico signed on to receive their shares. So let’s do a little math. Water is measured in acre-feet. An acre-foot is enough water for about two households a year. The upper and lower basin states were allocated 7.5 million acre-feet each, and 1.5 million acre-feet to Mexico, add in the loss to evaporation (remember we’re in the desert here) and you get a grand total of about 18 million acre-feet a year. But today -- in this extended drought period -- the river is flowing at best 15 million acre-feet. "There simply isn’t enough water to go around even if we drained the river dry every year to satisfy those who have legal rights to the water," said Robert Glennon, a University of Arizona regents professor and the author of Unquenchable: America’s Water Crisis and What to do About it. In addition to the over-allocation of river water, the states are now facing climate change and population growth. "You add all of those things up and it’s a train wreck," Glennon said. "So the states and the two national governments cannot put their heads in the sand and pretend that there’s not a problem. I commend them for tackling the issue head on." 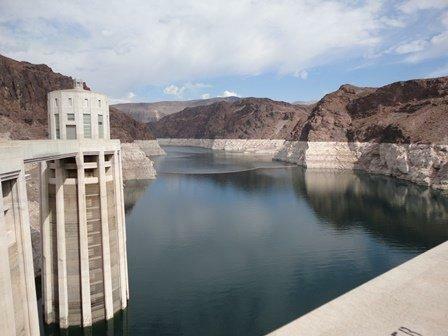 The issue came to a head five years ago when Lake Mead, the reservoir behind Hoover Dam, reached a critical low point. The western states devised a backup plan. But the real question -- will Mexico go along?  "It was never clear when the river went into shortage conditions that Mexico was going to agree to accept a cutback in supply that went to Mexico," said David Modeer, the general manager of the Central Arizona Project, which provides 80 percent of the state’s water. "That’s an uncertainty and a threat to us that if we were going have to cutback supplies, there was no guarantee that the amount of water Mexico gets on an annual basis would be reduced similarly in fashion." There was an added urgency to the negotiations for Mexico when, in 2010, an earthquake damaged pipelines in a major farming area south of the border. Mexico asked the U.S. to let it store water in Lake Mead while repairs were made. 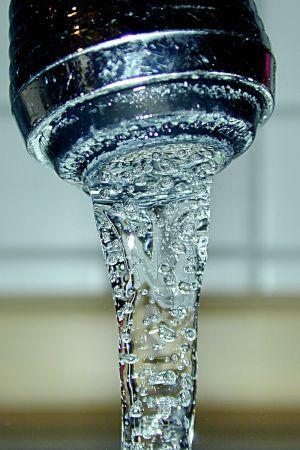 The new water agreement extends this emergency storage program. It’s a precedent-setting agreement and many other nations dealing with water scarcity -- like Australia and some Asian countries -- are watching with interest. "Just the notion that one country would use its facilities to store the waters of another country is a huge issue across the globe and this agreement will go down as a blueprint," said Pat Mulroy, the general manager of the Southern Nevada Water Authority. The agreement also has some gains for environmentalists. It calls for a pilot program of water releases from the U.S. to replenish the now mostly dry wetlands in the Colorado River delta in Northern Mexico -- once a major stopover for North American birds. The most important element of this agreement is that Mexico will share in times of surplus and shortage with the western United States. Still, water experts say more needs to be done to plan for climate change, which will likely reduce Colorado River flows by as much as 9 percent. The Colorado River is about to run wild again, at least a couple times a year. In May, Interior Secretary Ken Salazar approved a series of simulated floods -- releasing huge amounts of water and sediment from the Glen Canyon Dam over the next several years. It’s all part of a long-studied effort to restore the river environment downstream. 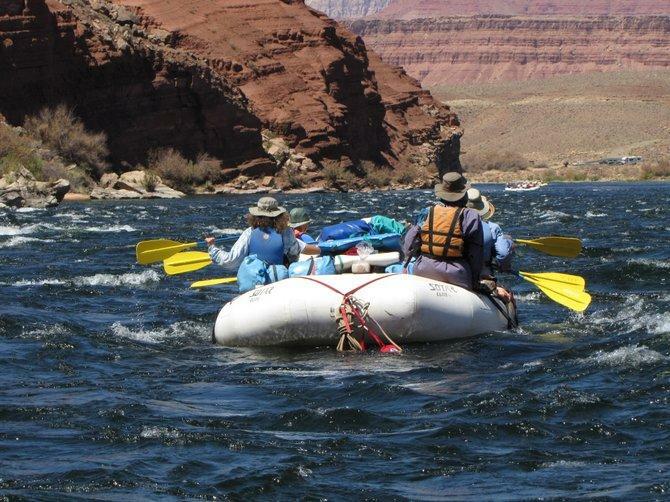 Five boats recently launched a two-week Grand Canyon river trip. The group of tourists paddled white-water rapids, hiked side canyons and camped at river’s edge. There's an old saying in Arizona: Whiskey is for drinking and water is for fighting. And Arizonans have been doing that in the courts now for decades, trying to figure out who is entitled to the water that runs through the rivers and streams. Photo courtesy Arizona Dep't of Water Resources. Mexico and the United States are working toward a broad package deal that would help revive the Colorado River Delta. Seven years ago, the U.S. began working on the project to line an earthen portion of the All-American Canal in Imperial Valley and send the saved water to San Diego. Many in Mexico and the U.S. opposed the lining, saying it prevented seeping water from reaching fields and wetlands in Mexico. The lining project was completed in 2010. Over the past hundred years, people have introduced dozens of non-native fish species into the Colorado River and its tributaries. 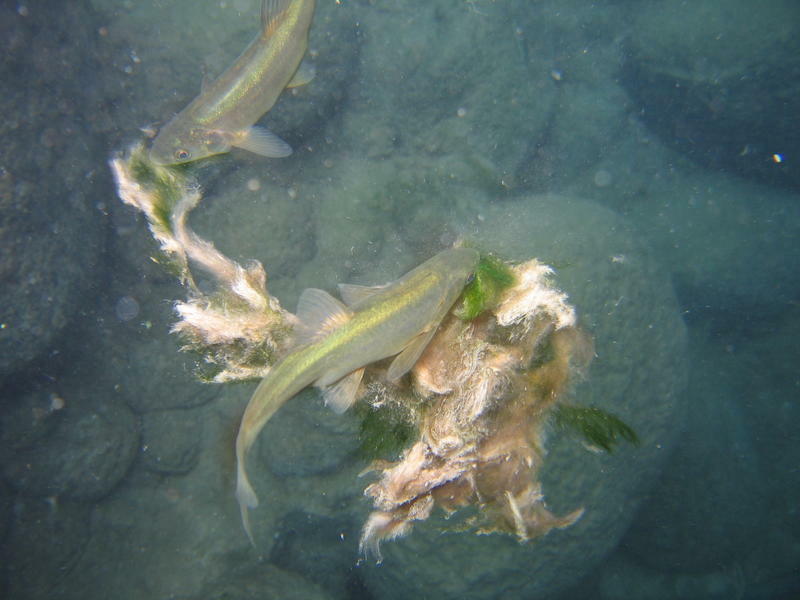 During that time, populations of native fish species have dropped, in some cases dramatically. It’s easy to guess at the causes of native species decline, like predation and competition for food. But it’s far more difficult to prove.